I have a habit of cycling through my entertainment platforms on a fairly regular basis. Sometimes I read obsessively, sometimes I watch dramas, sometimes I listen to podcasts. It’s constantly changing and I feel bad for things that get dropped when my mood changes. Sometimes I get back to them, but not always. It’s kind of rude of me. Obviously, I went through a music variety show kick over a few weeks and I consumed a whole bunch of content while I ran or lazed or cooked. The biggest thing I learned from the experience was that we should all be paying attention to these shows to find new, innovative, and interesting music. Unless you’re paying attention, it might pass you by and that would totally blow. These days, as I’ve started to transition back into drama watching, I haven’t wanted to give up all of the great songs I’d grown accustomed to discovering and I find myself watching performances from shows even when I don’t watch the actual program. But sometimes, when the performances are really, really special, I find myself wanting to dip my toe into the whole experience. One of those tempting shows is the Mnet show The Call. Basically, the show takes some regular musical guests and has them make a ‘love call’ to other artists big in the Korean scene from varying genres. They are then charged with writing, producing, and performing a new song together. Holy crap, how could it go wrong? And I am here to assure you that it doesn’t. It goes so so right. Just sitting here letting YouTube autoplay through performance after performance, I’m blown away. Collabs like Kim Jong Kook and Taeil or Wheesung and Hwanhee or Kim Bum Soo and Ailee are so unexpected and yet feel so natural and necessary. One of my favs from the show, the one that first caught my attention and foisted me down this hole, was the song 0-100 by Bewhy (a regular on the show) and Crush. 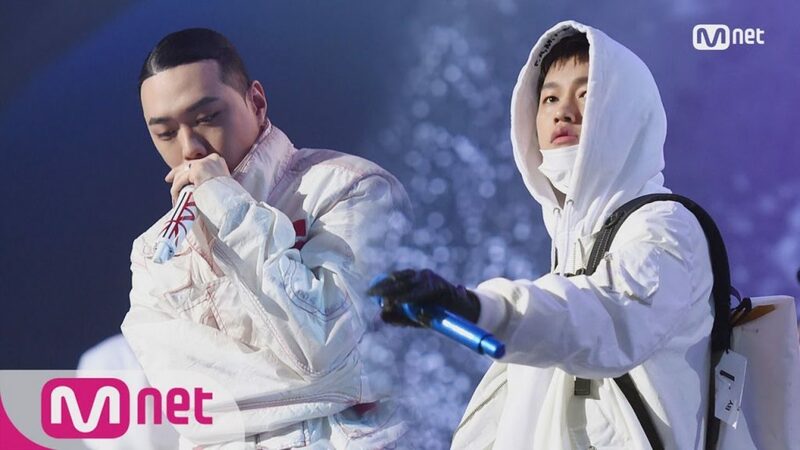 It’s a fantastic hip-hop number that starts with Bewhy being Bewhy standing militantly and all in white at center stage rapping his little heart out. About two minutes in, he’s joined on stage by Crush, also in white, who goes between singing and rapping fluidly. It’s an amazing song that’s meant to remind them about whey they are doing music in the first place, why they started on this path and why they keep going…gah, it’s so good. Only oddity to the whole thing? Performing with a backpack on seems silly. I’m sure the green room was safe enough to leave your stuff in for the duration of the performance. No need to carry it all on stage. I love BeWhy more and more and more. Total surprise to me.